Jackson is DJ software from the future. Within a couple of years many professional DJs will use tools like Jackson. Go to the downloads page to get it. Jackson allows DJs to alter the structure of songs while playing them: parts can be repeated, skipped, paused and reversed. 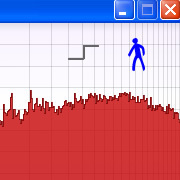 Tracks are automatically beat-matched and therefore always play in sync. 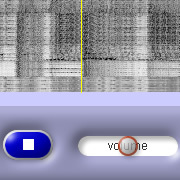 Powerful filters and effects allow the DJ to sculpt the sound to his/her liking. The integrated browser facilitates the selection of songs. It lets the DJ preview the structure of songs and listen to them on a second audio device. 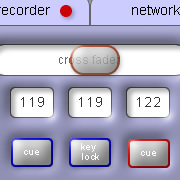 The built in recorder allows DJs to record their mixes without the need for additional equipment. 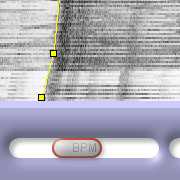 The integrated BeatMapper lets users analyze the rhythmic structure of songs. Different computers running Jackson can be networked. 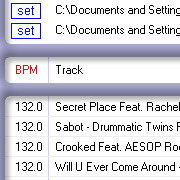 In such a configuration several DJs can play together in perfect sync: all tracks on all computers are automatically beat-matched. Jackson's sliders can be controlled by physical midi controllers. This allows for fast, tactile control and simultaneous changes to different sliders. Jackson can generate a midi clock signal to tempo-sync external midi equipment. A real time oscilloscope and spectrum analyzer is available for the techie DJ. Here are some screenshots from Jackson and its integrated tools: the BeatMapper, the Browser, the Scope and the Previewer. Click on the images to see the complete windows.